Centra Wrestling Federation Founder Lance At-Las Leads Off the new FUTURE SHOCK Game Edition! The Future Shock group may have made it to Dimension Y, but they didn’t find everything to be as they expected. This is NOT the same timeline that they left. What major differences are there in this timeline? What familiar faces will be on Centra in 2115? 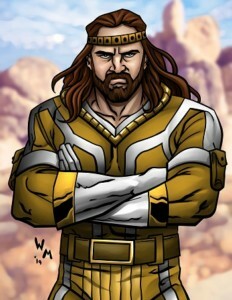 Lance At-Las is the founder and commissioner of the Centra Wrestling Federation. He is also one of its top stars. Why does he look concerned? What could have caused him to assemble a new group of Federation Defense Fighters? FUTURE SHOCK: Centra Wrestling Federation 2115 answers these questions. FUTURE SHOCK: Centra Wrestling Federation 2115 ships this spring along with Ring of Honor Supercard of Honor 8-pack. Get Ready to be Shocked by the Newest Chapter in Champions of the Galaxy Lore! Whatever happened after Magnus Colby and the Future Shock wrestlers were banished from our timeline by the UFSP at Sly Drury’s behest? In the Epilogue of REGIME CHANGE 2132 it appeared that their ship made it to the Centra system but was hit by a missile. What happened to the Future Shock wrestlers after the explosion? Find out what happens this spring when our newest Champions of the Galaxy supplementary set is released. What is the CWF like in 2115? Are there any familiar faces? Will they welcome the Future Shock team or stand against them? You’ll have answers to these questions this May when FUTURE SHOCK: Centra Wrestling Federation 2115 is released. The team of Werner Mueck and Mike Melesky are working together on their first COTG project together since Early Classics of the 2070s and 2080s fifteen years ago. It’s a whole new chapter in Champions of the Galaxy lore that begins this spring! The Inhuman PCO Shocks the Ring of Honor Roster! In the 1990’s French Canadian wrestler Pierre Carl Ouellet was winning gold in major international promotions. In the 2000’s he returned back to home to wrestle in the French Canadian indies before ultimately retiring from the ring in 2010. However, a few years ago PCO returned to wrestling, but in a very different form. Not only had his career been resurrected, but now it appears that he himself may have been resurrected from the dead! PCO now stands for Perfect Creation One, and the monster-like being has show inhuman strength both in the squared circle and outside of it. 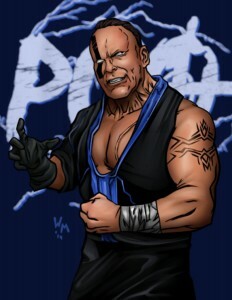 Many videos have surfaced online of the mysterious figure Destro torturing PCO and demonstrating incredible feats of strength, which have only intensified his lore. Now PCO has joined Ring of Honor as part of Marty Scurll’s Villain Enterprises, and there is no telling what kind of destruction awaits members of the ROH roster. PCO leads off the roster for the Ring of Honor Supercard of Honor 8-pack. This game edition will begin mailing in late May. From the Mushroom Kingdom in Canada come the Super Smash Brothers! When you think of Canadian independent tag teams of the past 10 years, there is one duo that immediately springs to mind as one of the most prolific…the Super Smash Brothers. Player Uno and Player Dos (often also known as Stupefied) are a unique duo with a fun offense that often plays homage to popular video games. Although they like to have fun, they are serious about winning, and with Uno’s strength and Dos’ high flying, they have certainly done plenty of that. 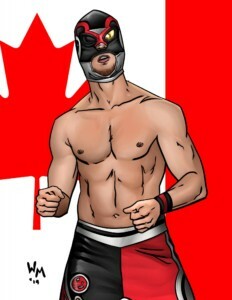 In addition to winning accolades in Canada, the duo has also won tag team titles in the US, including the Chikara Campeonatos de Parejas. Although the duo has undergone a darker change to their personalities in recent years, fans still remember the classic tag team fondly and can now include them in their Filsinger Games Indie promotion! Player Uno and Player Dos join Davey Boy Smith Jr., Teddy Hart, “Speedball” Mike Bailey, RJ City, Tyson Dux and Brent Banks in the Best of Canada 8 Pack. The set is available now HERE and has already begun shipping! Veteran Canadian Duo Joins the Best of Canada Lineup! Joining the Best of Canada set is a pair of veteran Canadian Indie wrestlers who have recently formed a partnership, Tyson Dux and Brent Banks. Tyson Dux is a 20 year veteran, with plenty of accolades on the Canadian indie scene, as well as some notable appearances in major US promotions including Ring of Honor and a prestigious international Cruiserweight tournament. 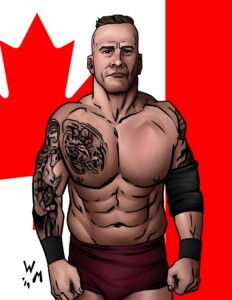 Brent Banks is a 13-year vet of the Canadian indies and is one of Ontario’s best kept secrets. The charismatic and athletic Banks has won a number of titles throughout Ontario, including a recent tag team title reign with Tyson Dux. Tyson Dux and Brent Banks join Davey Boy Smith Jr., Teddy Hart, RJ City and 3 other wrestlers in the Best of Canada 8 Pack. The set is available to preorder HERE and will begin shipping on March 30th. The latest name in the Best of Canada set is not only a part of Canadian wrestling’s most storied family, but is also the son of one of the most popular British wrestlers of all time. That’s right Davey Boy Smith Jr. will be getting his first Filsinger Games playing card. This big man has wrestled for all of the top wrestling promotions in the world, and while he has many singles accolades, as a tag wrestler he has acheived gold in all of the top promotions he worked for. How will you book Davey Boy Smith Jr.? Will you tag him with his cousin Teddy Hart or perhaps with the obnoxious Lance Hoyt? Regardless he is sure to make a major impact on your Indie fed. 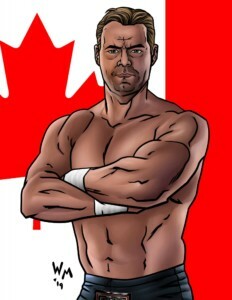 Davey Boy Smith Jr. joins Teddy Hart, RJ City and 5 other wrestlers in the Best of Canada 8 Pack. The set is available to preorder HERE and will begin shipping on March 30th. From the TV screen to your Indie Fed…its RJ City! 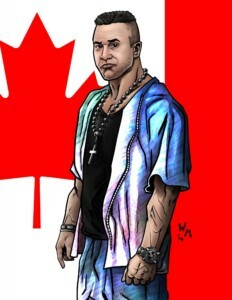 The wrestler in the best of Canada set, may be getting as much publicity from TMZ as he is from the Indie wrestling world, its the handsome and charismatic RJ City. RJ has never shied away from a TV camera, being on kids TV shows as a youngster and now having his wrestling performances syndicated in over 100 countries. He gained some recent notoriety as an opponent and reluctant tag team partner of Hollywood’s David Arquette. RJ is fond of Hollywood, but less so the stars of today vs. the stars of 40 years ago. Regardless he will make a fun addition to anyone’s indie fed. 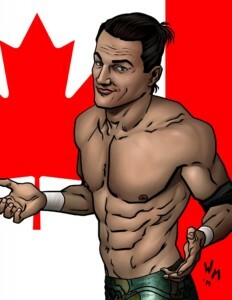 RJ City joins Teddy Hart in the Best of Canada 8-pack coming in late March. Oh Canada! The Newest Best of the Indies Set is Coming Soon! Last summer Filsinger Games started its Best of the Indies series with the Best of the UK set. 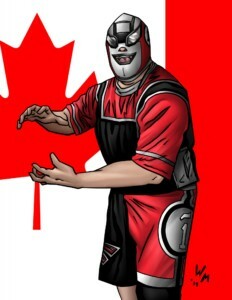 After the success of that game we are following up with another highly requested Indie Wrestling destination….Canada! What better way to kick off the Best of Canada set, than with a member of the most famous wrestling family, the Harts! Teddy Hart was born into wrestling and has always had tons of talent and charisma. Although he has never performed consistently in the major leagues, in recent years he has made a major splash on the indie scene popping up in a number of promotions. His unique offensive maneuvers and high flying moves make his matches a spectacle to witness. The Best of Canada 8-card expansion will be released in late March. Stay tuned for more names over the coming weeks! 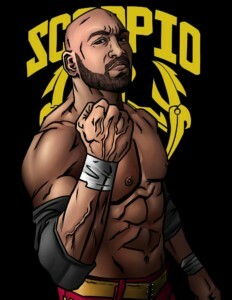 Scorpio Sky is a talented wrestler and MMA competitor, but up until recently has mostly been known for his work in California. He got his break in Ring of Honor in 2017, and had shots at the World Title and TV Title early in his tenure. Sky got his most noteriety in ROH when at Final Battle 2017 he joined forces with the Addiction, Christopher Daniels and Frankie Kazarian, to form the group SoCal Uncensored. As part of the group Scorpio has already won the ROH 6-Man Titles and the ROH Tag Team Titles. There is no telling how far this trio will continue to go. SCU! Scorpio Sky will join Marty Scurll, Jonathan Gresham, Shane Taylor, Josh Woods, Brian Milonas, Sumie Sakai, and Karen Q in the Death Before Dishonor 8-pack. Preorder ROH: Death Before Dishonor now HERE and check out all our holiday releases HERE. Games begin mailing December 14.